Game on! Sprint will collaborate with cloud gaming pioneer Hatch to deliver an unrivaled game-streaming experience. 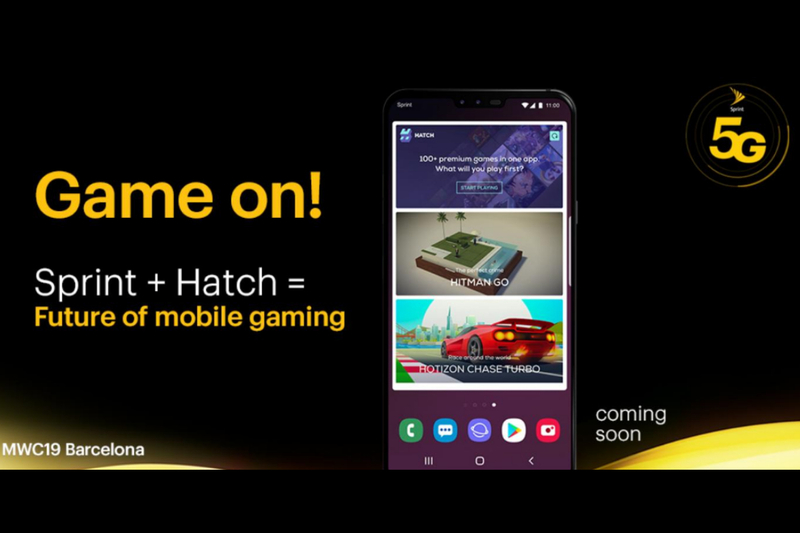 Gamers on Sprint 5G will be the first in the United States to experience Hatch’s first-of-its-kind mobile 5G cloud gaming service. Sprint (NYSE: S) is a communications services company that creates more and better ways to connect its customers to the things they care about most. Sprint served 54.5 million connections as of Dec. 31, 2018, and is widely recognized for developing, engineering and deploying innovative technologies, including the first wireless 4G service from a national carrier in the United States; leading no-contract brands including Virgin Mobile USA, Boost Mobile, and Assurance Wireless; instant national and international push-to-talk capabilities; and a global Tier 1 Internet backbone. Today, Sprint’s legacy of innovation and service continues with an increased investment to dramatically improve coverage, reliability and speed across its nationwide network and commitment to launching the first 5G mobile network in the U.S.